Imaam Abu Haneefah (rahimahullah) selected five ahaadeeth from five hundred thousand ahaadeeth. These five ahaadeeth are such that through practising on them, one will be practising on the entire Deen. After Imaam Abu Haneefah (rahimahullah), Imaam Abu Dawood (rahimahullah) selected four thousand eight hundred ahaadeeth from five hundred thousand ahaadeeth and compiled them into his kitaab, Sunan Abi Dawood. From these ahaadeeth four thousand eight hundred ahaadeeth which he compiled into his kitaab, he selected four ahaadeeth and stated that the one who practises on them will be practising upon the entire Deen. All these four ahaadeeth are among the five ahaadeeth that Imaam Abu Haneefah (rahimahullah) had selected. Imaam Abu Dawood (rahimahullah) did not select the fifth hadeeth as he understood that the meaning of the fifth hadeeth can be included in the other four ahaadeeth. Imaam Abu Haneefah (rahimahullah) passed away in the year 150 A.H. Imaam Abu Dawood (rahimahullah) was born fifty two years later, in the year 202 A.H. From this, it seems possible that Imaam Abu Dawood (rahimahullah) had taken this view from Imaam Abu Haneefah (rahimahullah). (The acceptance of) all actions are based on the intentions (with which the actions were carried out). One will not be a true believer until he wishes for his brother that which he wishes for himself. 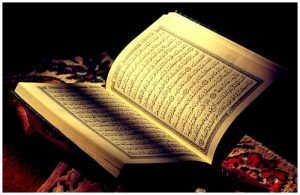 From the beauty of a person’s Islam is that he leaves out that which does not concern him. Halaal is clear and haraam is clear, and between the halaal and haraam are such things which are doubtful and many people do not know it. The one who abstains from these doubtful things will protect his Deen and his honour.